As a Project manager you most likely have the financial responsibility for your projects, and need to have control of the financial situation at all times. We are therefore developing a financial overview called Project Ledger. More features will be available in the future, but for the moment it will mostly be used for more accurate financial forecasting. 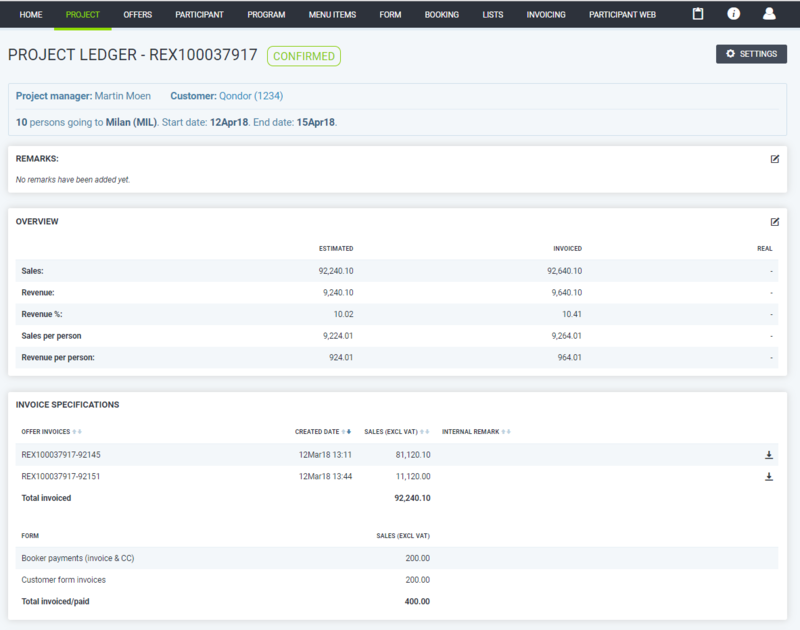 To get the financial overview in a project, go to Project -> Ledger on the main menu, or click "Ledger" from Project Details. The Project Ledger gives you an overview of estimated, invoiced and real numbers in the project. You can also set the project to Finished from this page. All numbers are exclusive of VAT. Add any remarks to your ledger. Invoiced numbers are based on total amount invoiced on Customer invoices and participant payments total sales. Real values are registered manually by the Project Manager. 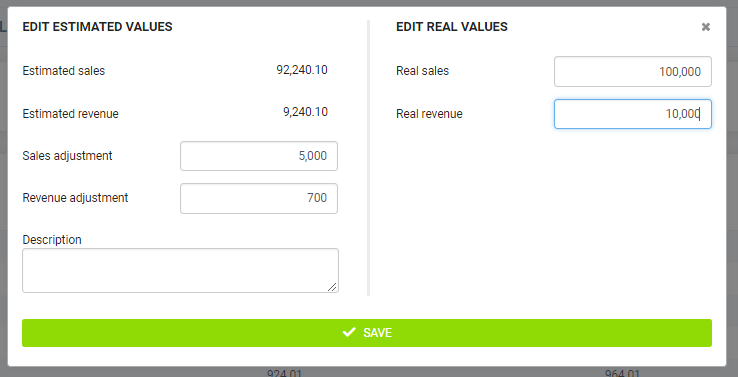 You can add an adjustment in sales and revenue in your project which will be included in the total estimated numbers. When you are closing your project you can insert the real values from your back-office system. You are also able to add a description to add more detail to your adjustment. Offer invoices: Your customer offer invoices will be listed here. Form: booker payments and customer form invoices will be listed here. Your real sales in the project can be inserted in Qondor through our API. Contact us at support@qondor.com for more information! Your real costs in the project can be inserted in Qondor through our API. Contact us at support@qondor.com for more information! When you click the Set project as finished button you will be asked again to confirm the real values in your project. Your estimated numbers will be overwritten by the real numbers upon confirming and the Project status will be updated to Finished.